Traffic will start within 24 hours from the purchase regardless of the orders in queue: we can handle it! You will receive 600+ per day for 30 days. 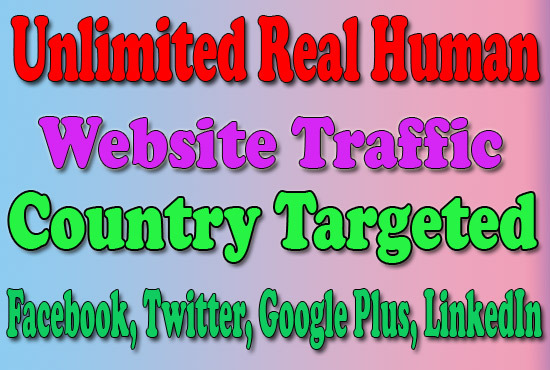 Unlimited: you will receive constant visits for a whole month with no daily limits. You may receive sales or opt-ins but they CANNOT be guaranteed, as well as specific bounce rate \ time spent, and ranking. We can't control visitors' actions. NO direct URL, Adfly, Linkbucks, Adfocus, Adult.